Why did the GOP elect Donald Trump for president? Donald Trump was a joke when he launched his candidacy in June 2015. To be fair I think he's still a joke, but a part of me likes him and no one can argue that he's changed the face of politics in this country forever after. 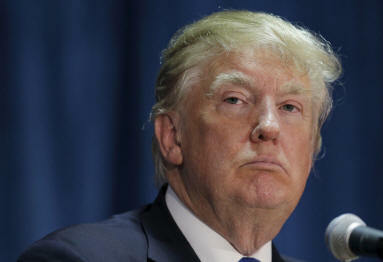 Flying in the face of the GOP post-mortem from the 2012 election that concluded that Republicans needed a strategy that embraced Hispanics, Trump's approach was to repel them with his characterizations of Mexicans and his focus on building a wall. Trump would surprise everyone (except maybe himself) with his rise to the Republican nominee but in the process he scorched the Republican Party's grand plans. How is it that a candidate, whose words can be described by members of his own party as the "text book definition of racism," could rise to win so many American's votes? How is it the Republican voters could be so upset with their establishment candidates that they opted for someone with narrow experience and an even narrower set of ideas? How is it that the part of moral principles that famously got out the vote in 2000 because of the need to vote against gay marriage, would nominate a person seemingly un-moral? Beyond un-moral he's not even very nice to people! I have always viewed the heart of the Republican party to be one that opposes redistribution of wealth. In essence it's the party of the rich with the primary focus on holding onto their wealth. Unfortunately for Republican the number of rich are a relatively small bunch numerically so their party had to stand for ore. They pulled the non-rich who may have been willing to vote against their own financial self-interest and instead rallied around cultural interests. But in 2009 the republican party started to fraction with a tug from the right by the Tea Party. This tug created a level of gridlock within the party that allowed for more fissions in the historically unified facade. It became acceptable to have different opinions within the party and the splintering ultimately resulted in a Donald Trump nomination. So what faction was this? For this I turn to 70s situation comedy television. Television in the 70s was great and nothing was better than Saturday nights. Bob Newhart, Mary Tyler More and my favorite, All in the Family. I loved Archie Bunker. He was a little grumpy, he thought he was much smarter than he really was, and he formed opinions with little in the way of thoughtfulness. There was nothing to love on the surface and yet he was lovable. We liked him. We didn't take him too seriously because he had some great character qualities. 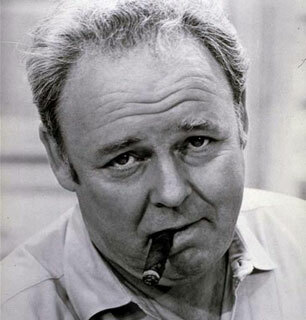 I've concluded that Archie Bunker is the GOP nominee for president. People like Donald and feel like they know him after all these years on television. He has entertained them. They like to watch him fight like they might like to watch professional wrestling. If a bit of fiction creeps into the story line that's fine—it's just good television. When he says something silly people don't hold him accountable for his utterances they feel like they know him better than he knows himself. For the same reason I could love a hateful Archie Bunker, voters feel close to Donald Trump. I believe that they trust him, respect his accomplishments and think he's got the right personality for Washington. There's a second reason I think people like Donald. He's selfish. And as Americans we're all increasingly a little more selfish these days. Social media has made all of us the stars of our own universe. When I was growing up I was trying to fit in. Today if you want to get into a good college you have to stand out, you have brag and you have to be a little selfish. Religion has long been focused on the common good over the individual and that appears to be in a steep decline in this country. There seems to be less sentiment for the common good and more sentiment for what's good for me. Trump's attacks on people who don't line up with his thinking, his race or his religion are simply the modern form of taking care of number one. Increasingly people respect that as a strong personality trait. Sure Trump screwed lots of people when his business declared bankruptcy, but that was simply good business. Most political campaigns tend to attack at the opponent's strengths. Expect Hillary Clinton to focus on Trump's strength around "trust," his "accomplishments" and she will try very hard to make him less likeable than she is. The inability of Republican to truly form a single coalition will continue to splinter the Republican party and reduce its strength. Democrats are likely to have some splintering of their own as they try to grab Republican off-shoots on one side and grab the new Sanders socialist wing of the party on the other side. The bigger the tent that the Democrats try to create, the weaker that tent will become. In my opinion Democrats shouldn't put too much effort into moving from their left of center positioning. Instead they should lock down their numbers, firm up the unity and and let the Republicans continue to weaken. Trump will lose. Clinton will have success nipping away at his "trust" and "accomplishments," but that won't be fatal. He'll ultimately lose his war with the press. As Trump goes "presidential" he will be less entertaining and the media will increasingly focus on his short-comings for ratings. He will attack the press but this approach is flawed. We like our press. Those that don't are on the right wing of the party who have little choice than to vote for Trump. The rest of us see the press in our social media feeds, on our TVs, on talk shows and part of our 24/7 lives. We trust them and if they keep making us nervous about Trump we'll believe them. Trump is silly to attack the press. This election year has ushered in an overwhelming amount of change. Just when I feared politics might be getting boring a whole new chapter unfolded. What's different this time is that this chapter sounds a lot like it's just the beginning a whole new set of chapters and that the elections of the 2020s and beyond will evolve more rapidly than anything we've seen so far. I, for one, will be on the edge of my seat.